US’ Houston Airport System and Cabo Frio sign pact to boost cargo trade. Credit: ©Houston Airport System. US airport operator Houston Airport System and Brazil’s Cabo Frio Airport have signed an agreement to create a pipeline of air cargo between Houston and Brazil. Houston Airport System, which operates George Bush Airport, William P Hobby Airport and Ellington Airport, said that the co-operation agreement will serve as the starting point to develop business opportunities. The contract will increase air cargo flows between both airports and bring freighter service. It is said to be the first such agreement with a public airport under private management in Brazil. 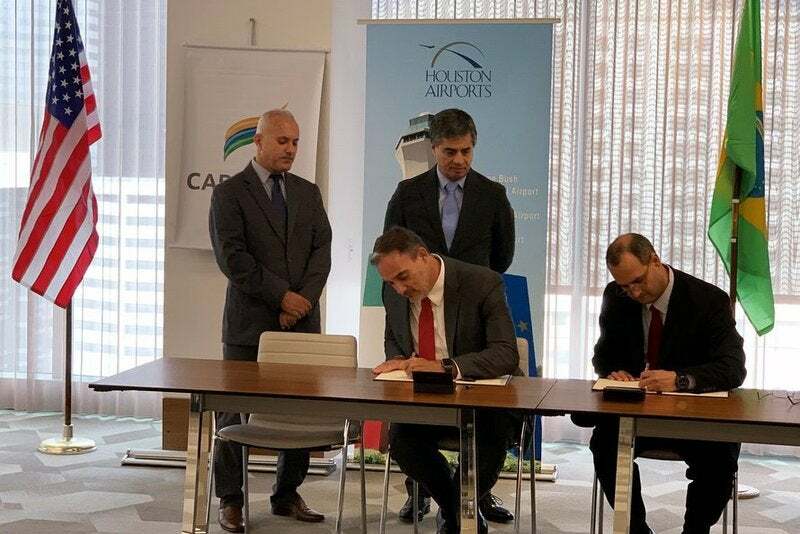 The agreement will enable both companies to identify potential partners, clients, and products, as well as share knowledge and experiences for the development of new business opportunities. The contract is expected to ensure the continuous growth of cargo operations at George Bush Intercontinental Airport, which handled over 500,000Mt of cargo in 2018. In 2018, air cargo trade between Houston and Brazil stood at $496.3m and more than 4,800Mt of cargo was handled. Separately, Houston Airport System inaugurated a new 143ft air traffic control tower at Ellington Airport, which will feature new radios to improve communication with aircraft. An automated weather observation system will be installed in the tower to determine cloud heights, temperature, rainfall amounts, the presence of lightning in the area and other conditions.